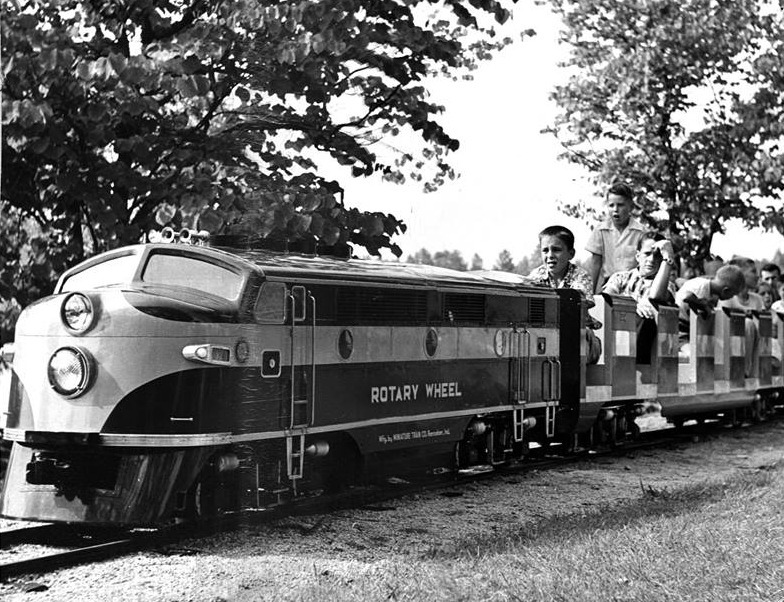 Who knew that there was such a cool, little train ride down in High Point, NC? Neither did I until we were invited to the American Express company picnic. We were thrilled to find the 24 guage ride that meanders past the lake, around 2 loops and through a tunnel. 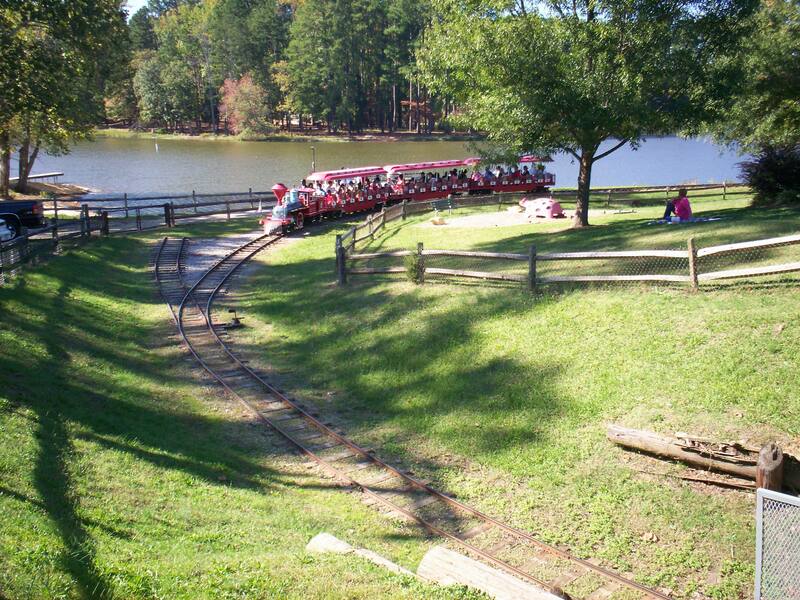 The park also has a Merry-Go-Round, a huge playground, bathroom facilities and much more. 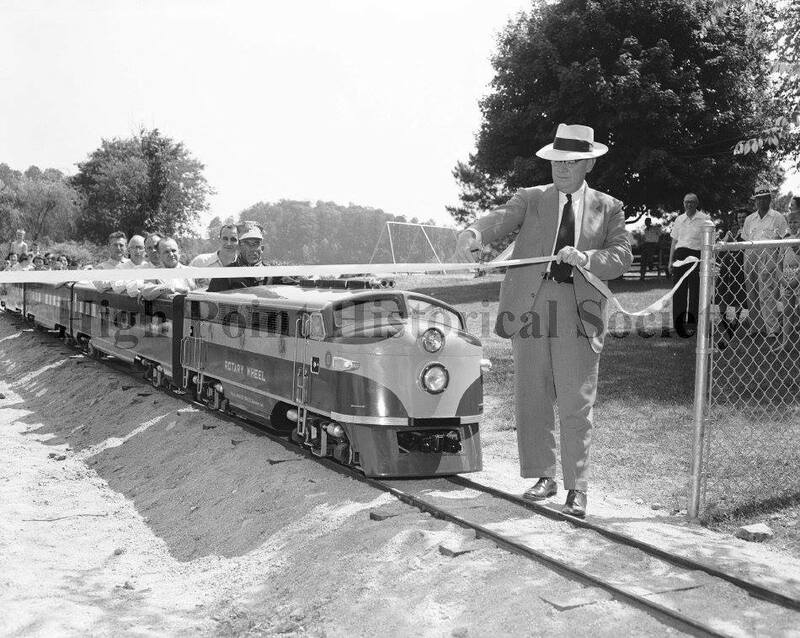 However, the train was the star of the show for us. 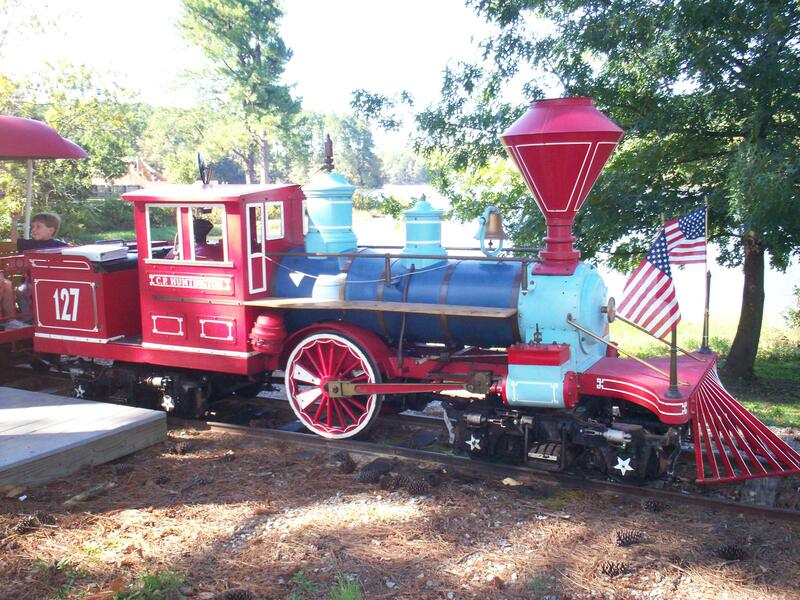 The colors and steam engine style is very similar to the Burlington City Park Train. Still, it was great fun on a beautiful day. Can you tell me when this park is open?